Game wikis are a collection of game guides. 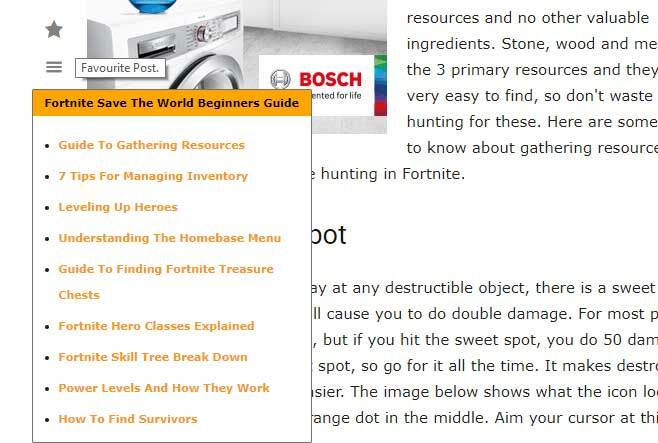 By adding a game to a wiki, you will enable a special wiki menu on the guide page that will allow users to quickly navigate the wiki without having to return to the main page. To create a wiki click the “Create Wiki” link on the sidebar of the site. Clicking the link above will bring you to the form to create a wiki. You can only add your own guides to a wiki. When you visit the submit page, you will see a list of all of your game guides on the left column. You can use the search box to find a guide, if you have a large amount of them. To add a guide to the wiki, drag it from the left side to the right. It will automatically snap into the box. It is also possible to nest guides. Drag 2 guides to the right column. Then drag one guide on top of the other. This will cause it to become nested like it is in the image below. You are able to include the same guide in many different wikis, however, only one wiki can be set as the primary wiki. Setting a primary wiki is a cool feature that you should make sure you set for every guide. If a user were to find your guide on google, they will link directly to the guide and not the wiki. This means that the wiki menu will not show up on the left side of the page. If the guide has a default wiki set, this is the wiki that will load up, even if the user did not find this guide through your wiki. You can easily set the default wiki when you create the wiki. At the very end of the form is a checkbox that will do just this. If you tick this box, all guides included in this wiki will start using the wiki you just created as their default wiki.